Juul's other secret to success was to steadily ramp up the levels of deadly, highly addictive nicotine in its products, being the first to leap from 1-2% nicotine refills to 5% refills -- a move that touched off an arms-race with other manufacturers, leading to the status quo where nearly all refills are 5-7% nicotine. One of Juul's key innovations was a patented "nicotine salt" that offset the bitter flavor of nicotine, allowing users to consume much higher levels of nicotine without having to endure a bad taste. 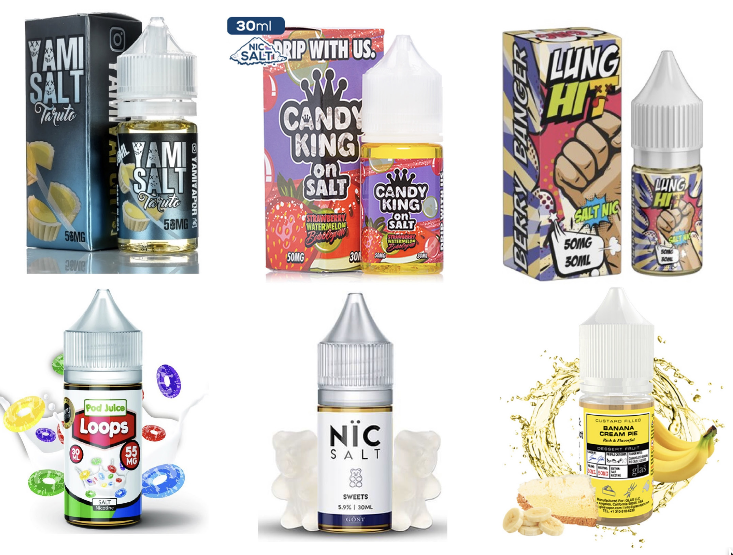 Ramping up nicotine levels didn't just make Juul's products more addictive, it made being a nicotine addict more affordable: the major costs of a vape refill are not the liquid, but the pod, its manufacture and distribution. Americans get more toxic versions of Juul's products. The tighted regulatory environment in countries like the UK and Israel have limited Juul to the sale of 1.7% refills. The vaping industry now sells liquid in non-childproof bottles that contain enough nicotine to "kill an entire preschool class." The findings about Juul's pioneering role in increasing the nicotine in vaping products were reported in the BMJ journal Tobacco Control, in a study entitled Nicotine arms race: JUUL and the high-nicotine product market (Sci-Hub mirror) written by a pair of Stanford researchers. When Juul released its original 5% nicotine pods in the United States in 2015, the majority of competing products came in 1% to 2% concentrations, according to study author Dr. Robert Jackler, founder of Stanford Research into the Impact of Tobacco Advertising. Now, a number of competing brands reach into the 5% to 7% range. Experts say that a single 5% pod delivers the same amount of nicotine to the body as a pack of cigarettes. "That may be a benefit to addicted adult smokers, but it also makes it potently addictive to nicotine-naive teenagers," Jackler said.